A person registered as a full-time student at a university or technikon may apply to become a STUDENT MEMBER. The application must be endorsed by a senior staff member of the department in which the applicant is registered. The period of reduced rates for student members shall be limited to five years. Practising earth scientists who have obtained a first university degree or equivalent from earth science training may apply to become a MEMBER. The applicant must furnish the names and contact addresses of two references who can attest to their academic qualifications and professional experience. Both of the references must preferably be Members of the GSSA. 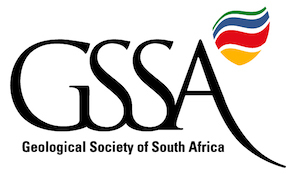 Persons who do not satisfy the requirements of the GSSA for election to another class of membership and who do not practise as geologists or other earth scientists may apply for AFFILIATE membership. Applicants shall furnish the names of two references, one of whom must be a Member of the GSSA. Where one spouse of a family is a member of the Society, the other spouse is entitled to a reduced rate if he/she is eligible for membership. The applicant must be over 35 years of age. The application must be supported by four members of the GSSA, two of whom must be Fellows and the remaining two at least Members. Special application forms for Fellow membership are available from the GSSA office. A member in good financial standing who has reached the retirement age of 60 years or more, should refer to the GSSA bylaws regarding their continuing membership and fee structure. An account will be sent upon acceptance of an application by Council. The account will be for the Entrance Fee plus Membership Fees for the financial year. The above requirements for admission are summarised from the by-laws of the GSSA governing membership and are based on the situations most generally encountered. Provisions are made in the by-laws for the admission of applicants possessing other qualifications and professional achievements and the Society should be consulted in all cases. All categories of Members are required to comply with the GSSA Code of Ethics which is aligned with similar international codes, to promote ethical and professional conduct of all Members.